Sometimes even the best laid budgeting plans can fall apart  especially if you have a weakness for impulse buying. If you find yourself shopping on an empty stomach, or just find it a bit difficult to resist that extra purchase on the store card, then never fear - we've got four easy steps to help you avoid temptation and stick to your budget. It may sound simple, but knowing exactly what you need to buy before you head out is one of the easiest ways to curb impulse-buying. Make sure you create a shopping list that focuses on what you need to get, rather than what you fancy. Pretty much every store on the high street is designed to bombard shoppers with psychological cues to spend money. Knowing what you need and want puts you one step ahead of the game, and makes you that bit more resistant to marketing strategies. Focus on your list, and particularly avoid hungry shopping, when you're far more likely to pick up anything your tummy tells you to. If you can't stand the thought of missing out on a great product, creating a wish list can be a great way to keep that perfect purchase in mind without splashing out on impulse. Making a note of an item you're keen to buy can be a great way of avoiding a rushed decision, giving you a cooling-off period before you part with your cash. Most online shopping sites, such as Amazon, give you the option to put items in your wish list before you purchase them, but for the high street, just bring a pen and paper to jot down anything you're keen on. You can also make sure you get the best value for money by doing some research to see if that dream product is really as good as it seems. 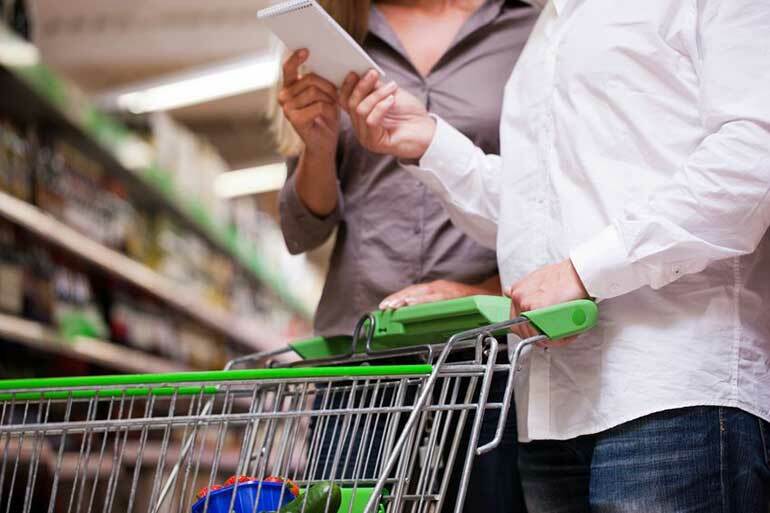 One of the best ways to avoid impulse buying is to make a realistic budget and ensure you stick to it. Our free budgeting software is a great place to start, allowing you to check your bank balance on the go to see if you're really able to afford that extra purchase. You can also strengthen your willpower by only taking the amount of cash you need before heading out shopping and - if necessary - leaving your cards at home. We can't be perfect all the time, and impulse buying can often seem like a great way to give ourselves a treat when we feel like we've been too strict on ourselves. To avoid the excess spending  and guilt  that can come with impulse buying, why not factor in a treat that you've budgeted for? If you know you're bound to buy food on impulse if you're hungry, plan to treat yourself to coffee and cake in the afternoon before heading to the supermarket. Or, if you know you have a weakness for the latest trends, plan a date to update your wardrobe and stick to it. Remember: you don't have to impulse buy to get that much-needed retail therapy - a bit of forward-planning can go a long way.